Keystone’s Kidtopia continues to redefine the family resort experience with free activities and events on and off the snow every day of the week starting Friday, Nov. 25. Guests can look forward to some brand new activities that will join the Kidtopia lineup this year, in addition to family favorites like the Saturday parade and fireworks. Build your own snowman, attend an ice cream birthday party with Ripperoo, catch a movie matinee at Kidtopia headquarters, march in the village parade and much more – the possibilities are endless for kids at Keystone! With the longest ski day in all of Colorado, at Keystone families can enjoy the star-filled sky as they ski and snowboard on the resort’s multiple lighted trails. Open until 8 p.m., this unique option, found at very few resorts, and allows for more time on the slopes. Night Skiing operations kick off on Wednesday, Nov. 23 and will be offered Nov. 23-27, Dec. 2-3 & 9-10, Dec. 16-Jan. 1 and then every Wednesday-Sunday through the end of March. 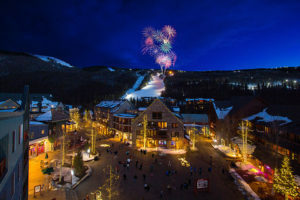 Keystone is home to several top-rated restaurants, including unique mountaintop dining as well as historic establishments that offer western charm and innovative culinary creations. High atop Keystone’s North Peak and accessed by two gondola rides, the Alpenglow Stube provides fine dining at 11,444 feet – the highest AAA Four-Diamond rated dining experience in North America; while the neighboring Der Fondue Chessel provides a fun, interactive dining experience for the whole family, complete with accordion-wielding musicians in lederhosen. Both mountaintop restaurants open Wednesday, Nov. 23. Down in the cozy villages of Keystone, additional authentic and festive dining options include The Ski Tip Lodge, originally an 1800’s stagecoach stop and once home to Keystone’s founders that is now a cozy bed and breakfast and one of the top-rated restaurants in the country; The Keystone Ranch, an original 1930s ranch homestead offering a genuine Colorado steakhouse menu in an extraordinary setting; Keystone’s dinner sleigh ride, where guests can enjoy a magical horse-drawn ride through the woods to a rustic ranch homestead for dinner; and the Bighorn Bistro & Bar, offering fine dining in a relaxed atmosphere with views of the Continental Divide. These signature Keystone dining experiences are perfect for a parent’s night out, or a full family affair. Located in the vibrant River Run Village, Keystone’s Dercum Square Ice Rink offers day and evening ice skating beginning Friday, Nov. 25. Admission is free, with adult and child rental skates available on-site. Be sure to stick around for complimentary fresh baked cookies during Kidtopia Cookie Time, held daily at 4 p.m. at the Dercum Square Ice Rink. It’s a night for kids to enjoy some quality time spent away from the parents and an evening filled with dinner, arts, crafts, movies and much more! Parents, enjoy the evening kid-free knowing that Keystone’s Ski & Ride School will be doing the entertaining that evening; the perfect opportunity for a date night! Ring in the holiday season at Keystone on Saturday, Nov. 26 with the Welcome Winter Family Carnival and the annual holiday tree lighting celebration. Warren Station in River Run Village hosts carnival favorites like face painting, a bounce house, arts and crafts, and live music from 3-6 p.m. From 5-6 p.m. enjoy the Lighting of River Run Celebration in the village with a special visit from Santa, carolers, hot cocoa and cookies, and close out the evening with a special tree lighting ceremony at 6:05 p.m. The big guy himself will be on-hand beginning Saturday, Nov. 26 and will make appearances throughout December, before he embarks upon his prior obligations. From photo opportunities, skiing, parades and a PJ Brunch, to the Mountaintop Spectacular, Santa Claus will be in resort Nov. 26, Dec. 10, 17, 18, 19, 22, 23 and 24. Locations of his appearances are available at keystoneresort.com.